I remember my granddad talking about eating "Hoover hogs" during the winter; I thought maybe it was some sort of govt. assistance and that being able to have bacon, ham and pork chops wasn't so bad. My pop told me later that he meant wild rabbits and that he was the one who went out and got one or two in the evenings after school so they could have some meat w/ their beans. Rabbits were only safe to eat during the cooler months, the risk of Tularemia being much greater during warm weather, the months without an "R" in their names. Wow! I've never heard of "Hoover hogs." It's hard for me to imagine. Most of us are rather spoiled now, at least by comparison - I don't think we could manage nearly so well as that generation! Thanks, Mike. I like simple things and a one bowl cake sounds great! My dad is vegan and when he's around I'm always on the look out for recipes that look good that are also vegan. I've made great vegan frosting before with three simple ingredients. Vanilla soy milk, melted chocolate, and sugar. Put it all together in a blender on high for a few minutes and wow! I can hardly tell the difference from other frostings. Well, it looks like a tasty cake! Wow, that cake looks delicious. And even though I have eggs coming out of my ears, I want to try making this one. I have quite a soft spot for chocolate cake. Love, love, love one bowl cakes and baking recipes! This looks so good. I enjoy the stories you share with these posts; very rich and special. Cold Coffee Chocolate Cake – C4. Very explosive recipe! Love it. Have to laugh at your one-bowl motivation. Seems more and more that I become adept at cooking and eating all in one pan. Sometimes even getting efficiency down to the food containers in the fridge – swilling juices from the bottle or adding ingredients into a store carton. Ah, the pleasures of bachelorhood! And most interesting background stuff, e.g. the Great Depression/Recession. Ditto Mike’s anecdotes. 5 cleavers! Richard, thanks! I remember your mentioning before that your dad is vegan; hope he tries the cake! Your vegan frosting sounds good, too. Thanks, Christine! Yes, you do have eggs coming out of your ears, don't you! :D Hope you can try the cake, and pie, soon. Melissa, thanks so much! I'm glad you appreciate my little stories. I'm an introvert, so telling them doesn't always come easy. Angie, thanks! I usually have to hide a piece of something that I want to test as to how long it will stay fresh. Doesn't that look delicious! Here I am, trying to stay away from things like that right now because I seem to be expending almost no energy! But it looks wonderful. Thanks so much, Judy! You'll be expending plenty of energy when you get back on your feet - I imagine you trying to catch up, making up for lost time. Can't keep a good woman down! un postre lleno de chocolate sabroso e irresistible me gusta,hugs,hugs. Muchas gracias, Rosita! And hugs to you as well! I thought the name might be alluding to the fact that it looks like the kind of thing you shovel into your face-hole in great quantities when you're feeling down! I can't believe how rich and moist and generally all round wonderful it looks for what it's got (or rather hasn't got) in it - lovely post Jean! Thanks so much, Charles! I hope you'll try it soon. My mother was a child during the Depression and she says the worst thing was eating spaghetti with ketchup. I have a wonderful book written by a 93 year old called "Clara's Kitchen". She is also on Youtube. You will fall in love with her. 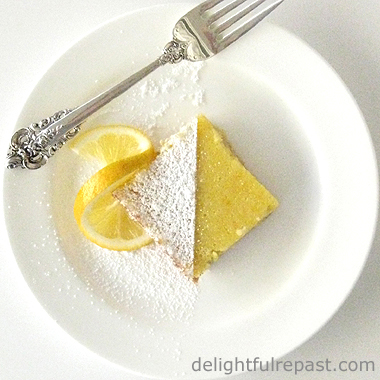 She lived through the Depression and talks all about it and shares frugal recipes. My favorite is "poor man's meal". I like your one-bowl cake concept. 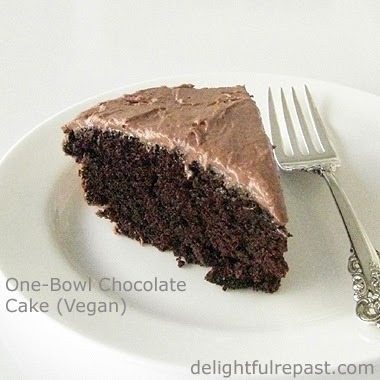 I love good food but am all about simplicity so that vegan cake is something I will make. It looks delish! Thanks, Lana! I hope you'll try it soon. And thank you for telling me about Clara - I'll definitely check her out! Spaghetti with ketchup sounds just awful. My grandmother used to make depression cake... and mayonnaise cake too. 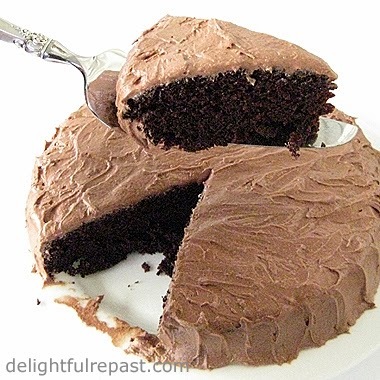 I loved both and still do, of course :) How could you not love a good chocolate cake? Especially one that uses only one bowl!! Jenn, don't you admire women like our grandmothers who really seemed to know how to make something from nothing?! What a fantastic recipe, will definitely making it. Thanks for visiting my wartime recipes at Farmersgirl Kitchen. Thanks, Janice. I love developing or re-creating recipes with a bit of history, such as things my grandmothers (one English, one Southern) made, which is why I was drawn to *your* site. This looks delicious, Jean. I've signed on to follow you. I appreciate your visit and comment on my blog earlier today. Thank you so much! Greatly appreciated! I've been working my way through all the period tv series on Netflix so I just love this recipe. I've pinned it for when I run out of eggs. Cool, Zena! You're going to be amazed that it has no eggs -- no one would ever guess there was anything "missing." This looks wonderful! I also appreciate the story that goes with it. Thank you, Mrs White! I should tell more stories about my quirky parents! I hope you do. I would love to hear more about your parents! I'll work on that, Mrs White!